JEROME L. GOLDMAN, an engineering pioneer, philanthropist, and civic leader, died September 5, 2013, at his home in New Orleans after a lengthy illness. He was 89. Goldman received various national and international naval architecture and engineering recognitions including the coveted Elmer A. Sperry Award. He became the first engineer and the second person to receive the Offshore Technology Conference Distinguished Achievement Award for Pioneering Work in Offshore Design, Society of Naval Architects and Marine Engineers as well as the David W. Taylor Medal for Innovation Achievements in Naval Architecture. He was a recipient of the C. Alvin Bertel Award, was an inductee into the Offshore Pioneers Hall of Fame for being an “industry pioneer,” was awarded the Most Distinguished Alumni at the opening of the Robert H. Lurie Center for Engineering at the University of Michigan and was bestowed with honorary Doctorate of Science degrees from the University of Michigan and the University of New Orleans (UNO). The Goldman Wing at the University of Michigan Naval Architecture and Marine Engineering Building was built in his honor. Besides his numerous engineering accomplishments, Goldman designed and built both the Chevron building on University Place and One River Place . The high-rise condominium was one of the first residential buildings in New Orleans built on the banks of the Mississippi River and one of the first in the country to be built on air rights. His devotion over the years to the New Orleans community was expressed by his time and philanthropy to organizations such as the UNO School of Naval Architecture, Tulane University, the National World War II Museum, Temple Sinai, the Metropolitan Crime Commission, Court Watch NOLA, Liberty’s Kitchen, the Louisiana Philharmonic Orchestra, Jewish Federation of Louisiana, Touro Infirmary, and Metairie Park Country Day School. The son of Lithuanian immigrants, Goldman was born in Kankakee, IL. and attended Emerson High School in Gary, IN. He obtained his undergraduate degree in 1944 from the University of Michigan School of Naval Architecture and Marine Engineering in the relatively short term of two years and nine months. He was the only civilian in the graduating class. Immediately upon graduation, he contributed to the war effort by working closely with Andrew Jackson Higgins at Higgins Industries in New Orleans. In 1946 at the age of 22, Goldman started his own naval architectural firm and after working with Standard Oil of California (Chevron) and other companies, Goldman and Cdr. V.H. Friede created Friede and Goldman Ltd., which became an international leader in ship and offshore rig design. Goldman contributed to the design of the first jack-up rig in 1952, and continued his innovative work on jack-up rigs, submersibles, semi-submersibles and catamaran drillships. He held numerous numbers of patents for his inventions. In the 1960s, he designed the revolutionary Lighter Aboard Ship, known as LASH. These ship designs made it possible for easy interchange of cargo from ship to ship, made shallow ports around the world accessible, and significantly reduced the turn around time required for loading and unloading. His earlier claim to fame, which has gone down in ship design history, is being the inventor of the All-Hatch concept, which provided safer and more efficient ship operation.By the 1970s, the All-Hatch concept became a world wide standard for general cargo and container ships. Goldman is survived by his wife of 59 years, Lynne Weinberger Goldman; his daughters, Anne Goldman Brinkley of Austin, TX (Douglas), Hope Goldman Meyer (James); a son, Edward Karp (Anne-Marie); and six grandchildren. He was preceded in death by his daughter, Leah Goldman Karp, and his son, Scott Goldman. A memorial service was held Monday, September 9, 3:30 p.m. at One River Place, second floor entertainment suite, officiated by Rabbi Edward Paul Cohn. In lieu of flowers, donations in Mr. Goldman’s memory are suggested to Court Watch NOLA, Liberty’s Kitchen, the Metropolitan Crime Commission, UNO School of Naval Architecture, Metairie Park Country Day School, Tulane University or a charity of your choice. Tharp-Sontheimer-Tharp Funeral Home of Metairie is in charge of arrangements. Condolences may be expressed online here. 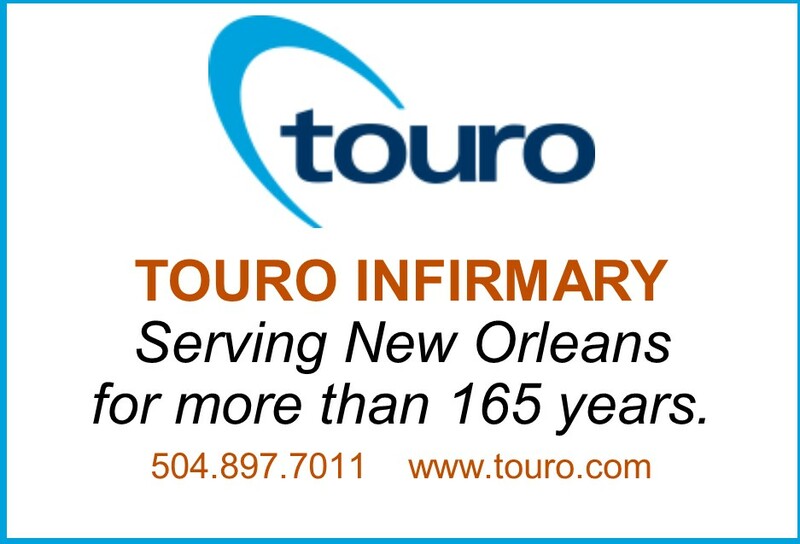 For information regarding the service, call (504)-835-2341.